CSB Batteries are specially designed for high efficient discharge and long life application. It's characteristics are small volume, light weight and high discharge efficiency. It can be used for more than 260 cycles at 100% discharge in cycle service. Power Pros maintains a large stock of CSB batteries to ensure quick delivery and ready availability. 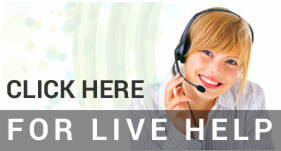 Our sales technicians are always available to answer your questions before or after the purchase. CSB GP1245 battery is rated at 12Volts, 4.5AH with F1/F2-Faston terminals.Special order, please allow 1-2 weeks for delivery. CSB GP6120 battery is rated at 6Volts, 12AH with F1/F2-Faston terminals. Special order, please allow 1-2 weeks for delivery. CSB GP1272 battery is rated at 12Volts, 7.2AH with F1/F2-Faston terminals. Special order, please allow 1-2 weeks for delivery. CSB GP12120 battery is rated at 12Volts, 12AH with F1/F2-Faston terminals.Special order, please allow 1-2 weeks for delivery. CSB GP12170 battery is rated at 12Volts, 17AH with B1/B3-L terminals to accept M5 nut & bolt. Special order, please allow 1-2 weeks for delivery. CSB GP12340 battery is rated at 12Volts, 34AH with B5-L terminals to accept M6 nut & bolt. Special order, please allow 1-2 weeks for delivery.